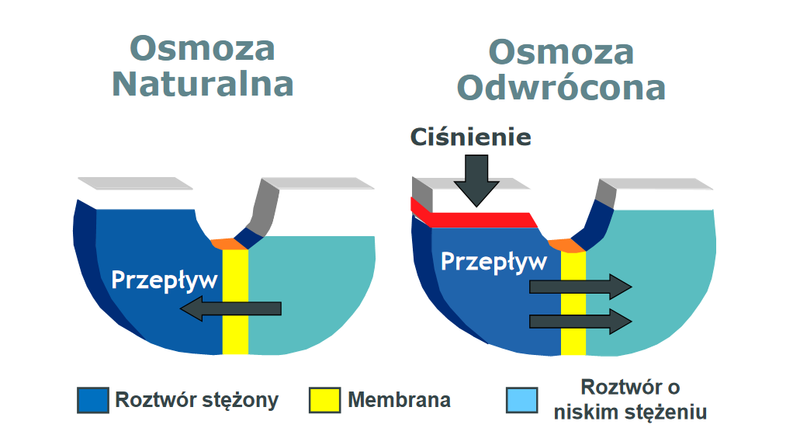 The reverse osmosis (RO) technology is used for water demineralisation without the use of hydrochloric acid and sodium hydroxide. RO plants remove pyrogens, bacteria and eliminate up to 90% of organic substances whilst retaining 98-99% of water-contained salts. automatic operation with the continuous monitoring of water quality.